Leo Baeck College is unique – providing information, education and Rabbinic training for Judaism in the 21st century as well as offering educational consultancy, development of community leaders, providing access to Jewish learning for all and working with those of other religions to advance understanding and respect. 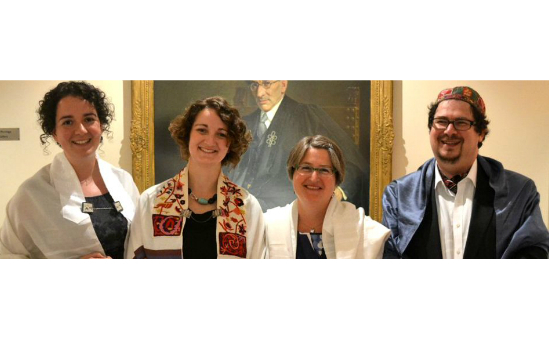 Today the College provides the future leadership of the Progressive Jewish community in the UK, Europe, FSU, Australia, South Africa and worldwide by training rabbis and teachers. As well as the five year Rabbinic Programme, the College offers an MA in Jewish Education, an Advanced Diploma in Professional Development for Jewish Education and foundation courses for Religion School teachers. With teaching staff of the highest calibre and an academic library second to none, as well as a resource centre well stocked with teaching resources, the College is infused with a love of Jewish learning. The College also provides consultancy support for communities and congregations, together with a programme of development in Jewish day schools. Leo Baeck College goes from strength to strength; the campus is undergoing a programme of renovation and refurbishment, including a large primary school which opened in 2008, together with a prestigious and accessible new library, attracting interest and participation from progressive people everywhere.